Back to School. A time that I totally dread, but then am secretly excited about! Who doesn't love a fresh box of crayons, new notebooks, and a totally organized room? 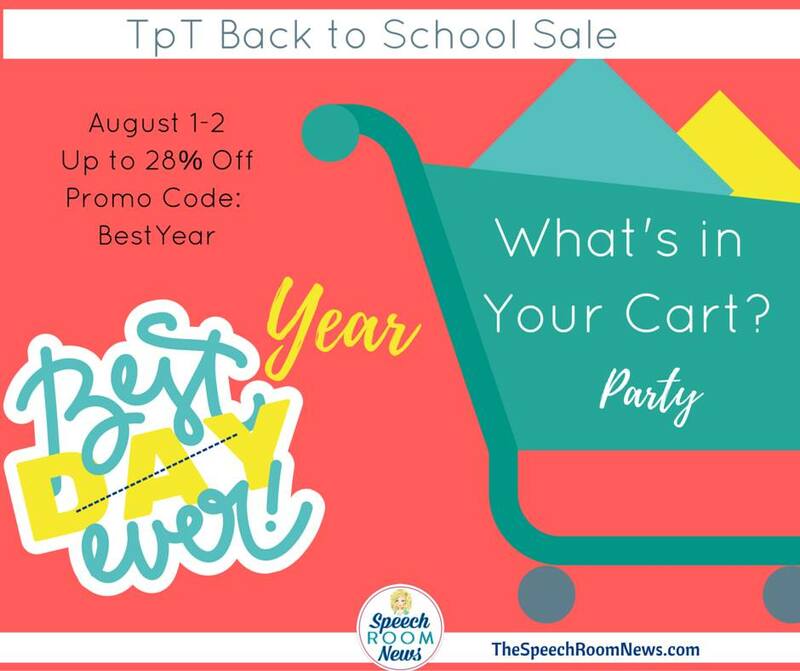 Another part of back to school that I love is snagging some great new resources at the annual TpT Back to School Sale! This years sale is on Monday, August 1 and Tuesday, August 2. 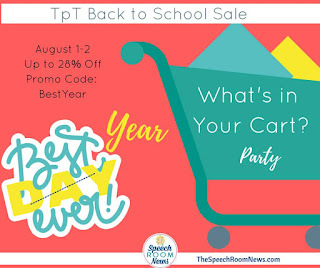 When you use the promo code: BESTYEAR you can save 28% off of EVERYTHING in my store! That includes all of my bundles too! My new Articulation Progress Monitoring Kit will be great for the first few weeks. You can begin collecting your data on all of your articulation students, and keep up with it for four progress monitoring sessions throughout the year. Data collection made easy! 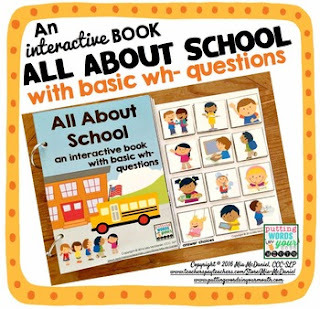 Another fun back to school item is my Back to School Interactive Books. These are easy to make, and so fun to use with students who need help with vocabulary, increasing utterance length, or need visuals to help with their language. Now for a few things that are in my cart. I am planning on doing a lot of back to school vocabulary with my students with ASD, so the first two items will be nice additions to what I already have! This Back to School Interactive Book from Mia McDaniel looks great! 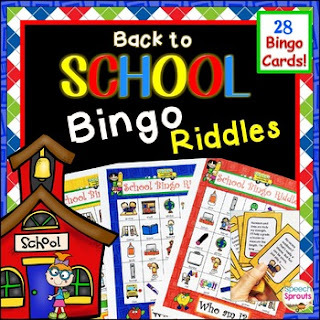 These Back to School Bingo Riddles by Speech Sprouts will work great with my higher level students too! 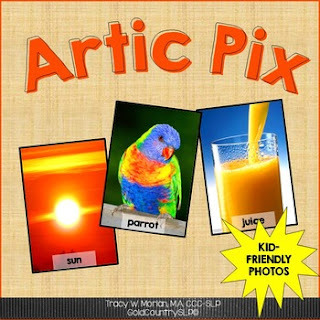 These new Artic Pix from Gold Country SLP look so bright and cheerful, I just have to pick them up too. They will be a nice change from some of my old articulation cards. 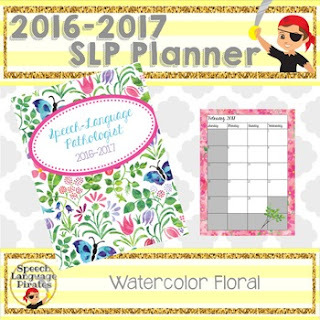 And finally, I think I might also have to grab this super sweet SLP Planner from Speech Language Pirates! Thanks so much to Jenna at Speech Room News for hosting this linky! Head on back there to see what other SLP bloggers have in their carts too! Wishing everyone a great back to school season!